The 'Milk with Dignity' campaign hopes to use the same tactics that have improved conditions for Florida tomato workers. Update: A month after this story ran, Ben and Jerry’s agreed to negotiate with Migrant Justice. In 2009, José Obeth Santiz Cruz, a 20 year-old farmworker from Chiapas, Mexico, had a fatal accident on a small dairy farm in Vermont. Cruz was working on his knees near a gutter scraper–a conveyor belt that pushes manure into a pit–when his clothing got caught, and he was strangled. Later that year, a group of Vermont farmworkers created Migrant Justice. Enrique Balcazar, a dairy worker and organizer for the group, says he personally knows two farmworkers who have lost fingers in the same type of gutter scraper in which Cruz died. His father still suffers from a serious injury he sustained while working through the night at a dairy six years ago, and Balcazar considers himself lucky to have never been injured at work. The growth of the dairy industry has raised serious global environmental concerns, and now we can add labor issues to that list. Vermont, which produces about 1.3 percent of the nation’s milk, has dairy in the heart of its economy: 868 dairy farms bring in $2.2 billion in economic activity each year. Over the last nine decades, the number of dairy farms in the state decreased 96 percent. 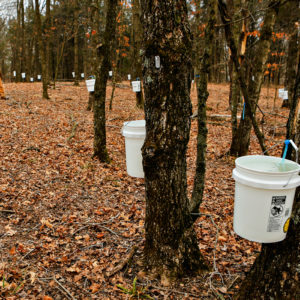 With steep decline in farms, productivity per farm has increased, resulting in an increase in the hiring of outside labor to manage larger herd sizes. Vermont’s 1,200-1,500 migrant workers often bear the brunt of this shift. According to Balcazar, there is little to no enforcement of existing health and safety laws, wage and hour laws, or housing codes. That’s where Migrant Justice’s new Milk with Dignity campaign enters the picture. 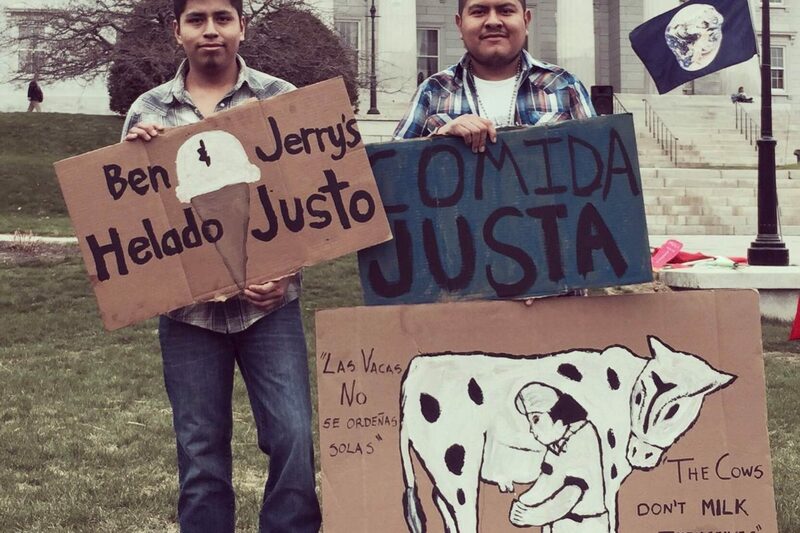 The group publically called upon Ben & Jerry’s last week in a march through Vermont’s state capitol to ask the company to sign onto the campaign, in hopes of securing dignified working conditions and livable wages for farmworkers in the dairy industry. The ice cream company is the campaign’s first focus, but they have a long list of companies they hope will come on board to change conditions for dairy workers. Migrant Justice farmworkers are not strategizing alone. They’re partnering with the National Economic and Social Rights Initiative (NESRI) and working closely with the Coalition of Immokalee Workers (CIW), a worker-led human rights organization based in Immokalee, Florida. The CIW’s award-winning Fair Food Program has made major strides for tomato workers in Florida. It includes a robust complaint mechanism; a rigorous auditing program, which includes interviews with over 50 percent of the workforce at each participating farm; and a “Penny per Pound” bonus, paid by participating buyers such as Whole Foods and Subway. This has resulted in the distribution of an additional $16 million to workers since the program’s inception. 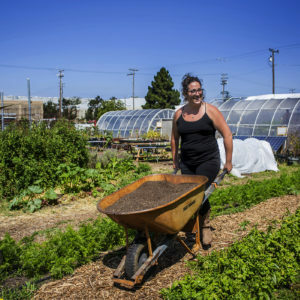 Much like the Fair Food model, farms participating in the Milk with Dignity Program would follow a farmworker-defined Code of Conduct and farmworkers would receive ongoing education about their rights. Corporations would also pay a premium for milk that would get passed directly to farmworkers and farmers. All would be upheld by a third party-monitoring system, to address grievances and ensure compliance, and would be codified in a legally binding agreement. Migrant Justice members say there are Vermont dairy farms that are already in compliance or near compliance with the Milk with Dignity Code of Conduct, and this fact gives them hope that they can improve practices throughout the industry. A survey the organization conducted last year with 172 dairy workers on 64 farms across the state reported that 40 percent do not receive Vermont’s minimum wage; 30 percent work seven or more hours in a row, without a break to eat; 20 percent do not have access to bathrooms or water at work; and 15 percent have insufficient heat in employee housing. One worker told In These Times about a trailer he shared with other workers that had sewage coming out of the pipes. Vermont Agency of Agriculture, Food, and Markets (VAAFM)’s deputy secretary Diane Bothfeld says she’s overall positive about labor in the dairy industry. “Vermont dairy farms have mix of migrant and domestic workers,” she says. “In some cases, the farms are managed well, with educational opportunities for the labor force and ability to grow within the dairy farm.” Despite this, Bothfeld believes improvements need to be made, especially when it comes to worker safety law. She’d also like to see dairy farms respect Vermont housing code, as workers tend to live on-site year-round. Dairy labor issues have also come up on the national level. The U.S. Department of Labor (DOL) developed two Occupational Safety and Health Administration Local Emphasis Programs (LEPs) for dairy in 2014. The top health and safety concerns for dairy workers: lack of roll-over protection on tractors, electrical issues, little or no skid steer loader training, among others. Over the last five years, Vermont Occupational Safety and Health Administration (VOSHA) has performed only one dairy farm inspection in Vermont. The farm had 12 employees. Eight citations were issued, with seven of them serious, resulting in a $1,300 penalty. VOSHA also looked into the death of José Obeth Santiz Cruz in 2009, but determined it did not have jurisdiction, since it was on a farm with fewer than 10 non-family employees. Outreach Nurse Julia Doucet at the Open Door Clinic in Middlebury, Vermont said she often treats farmworkers who have been kicked, stepped on, or squashed by a cow. She also sees back strain, amputations, skin issues, and more. The workers compensation claims she’s processed have all gone through, though she also notes that many workers are hesitant to file claims for fear of losing their jobs. A little Justice With Your Cherry Garcia? There are several reasons Migrant Justice hopes Ben & Jerry’s will join them in getting Milk with Dignity off the ground. First, many Migrant Justice members work within Ben & Jerry’s supply chain. The group estimates that a quarter to half of migrant farmworkers in Vermont work within Ben & Jerry’s supply chain. In addition, Ben & Jerry’s has a strong mission of social responsibility. They’ve broken ground with producers to create supplies of rGBH-free milk and cage-free eggs. The company is also partners with Fairtrade International and is working on a campaign for global climate action. Ben & Jerry’s hasn’t yet agreed to negotiate an agreement with farmworkers to join Milk with Dignity, but the company has participated in a series of meetings with them, and says it will incorporate some of the Code of Conduct into its existing Caring Dairy program. Caring Dairy is an elective program geared toward developing and measuring sustainability indicators on dairy farms. Farmers chose an area of improvement they’d like to focus on, self-evaluate, and in exchange, receive a $4,000-8,000 bonus. Twenty percent of farms that sell to St. Albans Cooperative Creamery Cooperative, the primary source of production for Ben & Jerry’s global supply, are part of Caring Dairy. Ben & Jerry’s Manager of Natural Resources Andrea Asch notes these 85 farms produce enough volume to cover the ice cream company’s production needs in their Vermont plant and that 94 percent of these members self-report paying minimum wage. Migrant Justice’s Enrique Balcazar says he’s glad Ben & Jerry’s is incorporating aspects of their Code of Conduct into the Caring Dairy program, but when it comes to real change, he doesn’t want voluntary, self-evaluated programs. Instead, he’d like to see Ben & Jerry’s incentivize 10 to 20 farms to join through offering them a premium for their milk and work steadily towards sourcing 100 percent of its milk through the Milk with Dignity Program. 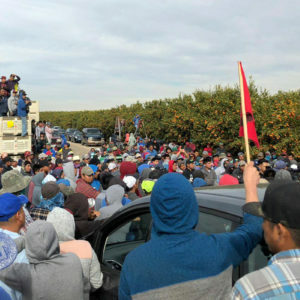 Both NESRI and the CIW have confirmed for Balcazar that without proper enforcement, a Code of Conduct is unlikely to make legitimate change in workers’ lives. The difference between Caring Dairy and Milk with Dignity, Balcazar says, is the difference between corporate social responsibility and worker-driven social responsibility. The first type of effort is usually controlled by corporations, and is often tied to public relations. The second is designed, monitored, and enforced by the workers whose rights it is intended to protect. “[Milk with Dignity] has real teeth, real enforcement, and real worker participation,” he says. Over the long term, Migrant Justice’s goal is to scale up the campaign to include all dairy farms and dairy-purchasing corporations within Vermont, followed by partnering with farmworker-led organizations in other states like New York, the yogurt capital of the country. Photos, from top: 1. On International Workers’ Day, Migrant Justice announced the Milk with Dignity campaign in Vermont’s state capitol. Photograph by Arthur Hynes. 2. A dairy worker and her child, Photograph by Caleb Kenna for the Golden Cage Project. 3. Dairy worker clearing manure, also by Caleb Kenna.